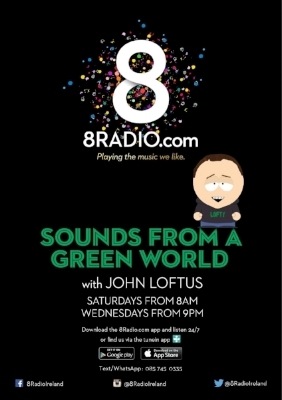 With so much good new Irish music bouncing around our wonderful island it's hard to fit it all in to a 90 minutes show but we do try our best. On this week's episode we feature more tracks from the Sounds from a Green World Album of the Month which is the wonderful 'A Safe Distance to Watch' by Columbia Mills. We also feature a number of hometown acts who will be playing Dolans in the coming weeks, those being whenyoung and Rusangano Family. Able Archer pick a peach of track from Lowlight Gathering for their 'Music They Like' choice and we also have the new Able Archer single. All that along with new releases from Ham Sandwich & Paddy both of whom return to Dolans on the run up to Christmas. So press play now, you won't be disappointed.